After rain, ice and long, dark nights, it’s time to escape the clutches of winter and start celebrating spring. Once the clocks change, nature gets a wake-up call and with lighter days and warmer temperatures, thoughts venture towards holidays. Make the most of the spring holidays with all the family this year by taking a break with Macdonald Resorts. Located in areas of outstanding beauty and with a host of activities for all the family on their doorstep, a staycation with Macdonald Resorts will ensure families can enjoy the new season to the full. From rollercoaster rides to exploring forests filled with wildlife, there is something for all the family. Located across the UK from coast to country, Macdonald Resorts offer unrivalled flexibility with self-catering accommodation and a host of onsite leisure facilities such as swimming pools, gyms, tennis courts, spas, bars and restaurants, there is something to keep every-bunny happy. Entertaining your little monkeys has never been so easy! Just 15 minutes from the stunning Macdonald Forest Hills Resort, guests of all ages can enjoy scenic trails, sparkling lochs and waterfalls in the abundant Queen Elizabeth Forest. Or if you prefer a challenge, go wild at Go Ape! with a tree-top adventure whilst taking in panoramic views of the Trossachs. 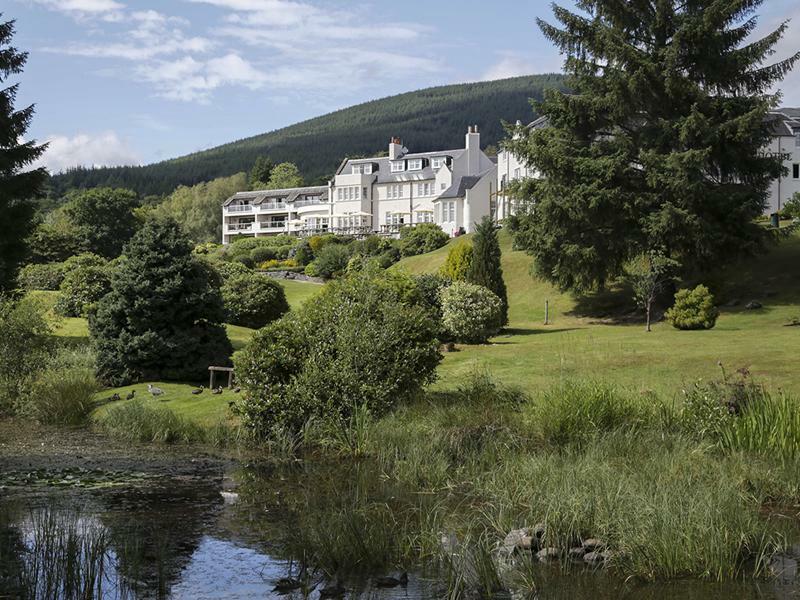 If you’re looking for some water-based fun, the resort offers kayaking and paddle boarding on Loch Ard, or simply head to the resort’s four-star spa and leisure facilities for a relaxing dip! Resting in the heart of Speyside, Macdonald Lochanhully offers the perfect base for adventurous families with Landmark Forest Adventure Park a four-minute drive away. From Tarzan Trails to Ant City, the park has an excellent range of attractions guaranteed to tire you out before heading back for a relaxed and tranquil stay in the traditional woodland cabins. Speyside is also renowned for Scotland’s national drink and whisky enthusiasts (and exhausted parents) can enjoy exploring some of Scotland’s most celebrated distilleries on the Speyside Malt Whisky Trail. Set on the banks of the River Spey, Macdonald Spey Valley is perfect for those looking to make the most of the lighter days and explore the Cairngorms National Park. Outdoor enthusiasts are spoilt for choice with forest walks, water sports and golf in the area. Aviemore is just five minutes away offering a fantastic range of shops, restaurants and activities including Zip Trek Park and Loch Morlich Water Sports Centre which offers everything from windsurfing and SUP boarding to mountain biking. Guests can also bring their four-legged friend to enjoy the outdoors with. Macdonald Elmers Court Resort is the perfect spring-time retreat. Spring is foal season and the playful young ponies in the New Forest make for idyllic Easter scenes for the whole family to enjoy. For those looking for adventure, Paultons Theme Park is just half an hour from Macdonald Elmers Court Resort and has something for all with over 70 exciting rides, as well as Peppa Pig World. Located amongst 23 acres of beautiful grounds and gardens, this resort is on the southern edge of the New Forest, just 200 yards from Lymington Pier, the ferry stop for the Isle of Wight which makes the perfect family day trip. Nestled at the foot of Snowdonia National Park, Macdonald Plas Talgarth Resort offers an abundance of activities for ‘ewe’ and your little lamb with tennis courts, two swimming pools, a putting green and play areas all on-site. For those looking to explore a bit further afield, the self-catering accommodation is just a stone throw away from the Welsh coastline, offering sandy beaches walks and the chance to see dolphins. There’s also the popular Talyllyn Steam Railway nearby as well as King Arthur’s Labyrinth, for a magical underground journey through winding tunnels to discover ancient tales of Welsh folklore.